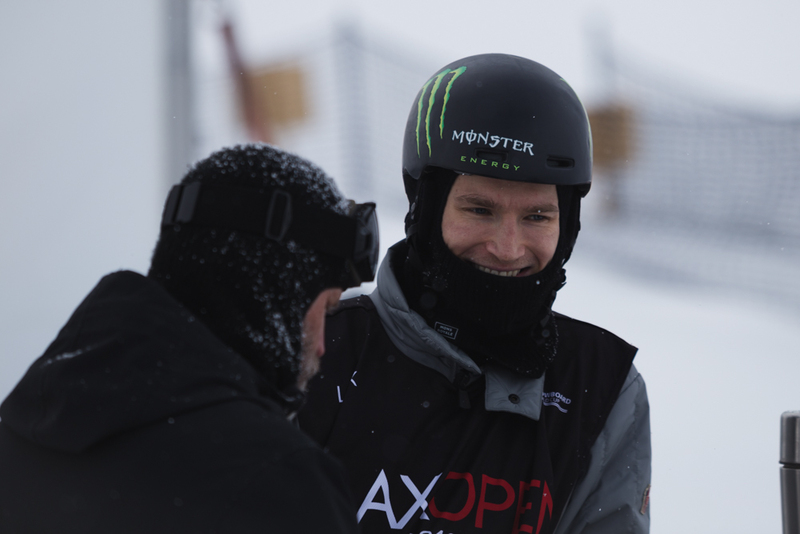 Monster Energy congratulates Iouri Podladtchikov on his victorious run today at the Laax Open in snowy Switzerland. 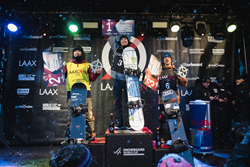 The Sochi Gold Medalist Battled Through Tough Conditions to Win Europe’s Most Prestigious Snowboarding Contest. With wild weather descending on the Swiss Alps in recent weeks, the charming mountain town of Laax was transformed into a snow globe as powder accumulated not in inches, but in feet in recent days. 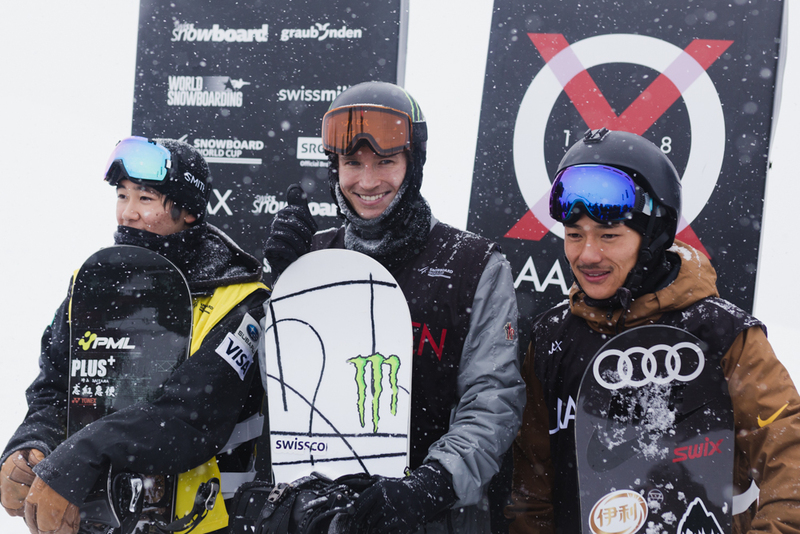 So much snow fell in fact that the slopestyle portion of the contest was cancelled altogether after three days of unsuccessful attempts to hold the event. 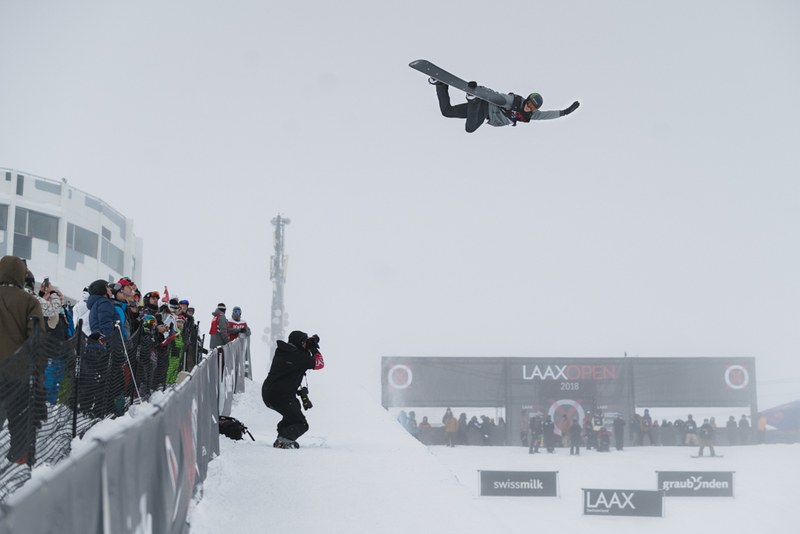 Luckily, Saturday the snowfall eased enough to allow the halfpipe competition to commence. Though flurries still lingered and with compromised visibility, riders adjusted their style to accommodate the challenging conditions. That said the pipe was still pristine as crews worked tirelessly to provide the best course possible. 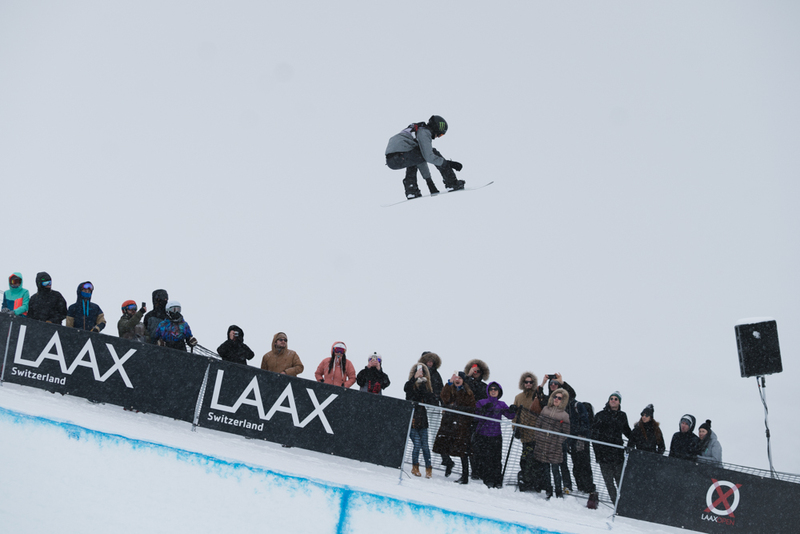 For Podladtchikov however, who lives just a couple hours away in Zurich and considers Laax his home mountain, adaptation came easily and the atmosphere was electric as the rowdy Swiss crowd cheered their countryman on. Wasting no time, it was Podladtchikov’s first run that proved victorious as the goofy-footed rider came at the pipe with a ferocity we have not seen from the 29-year-old in some time. 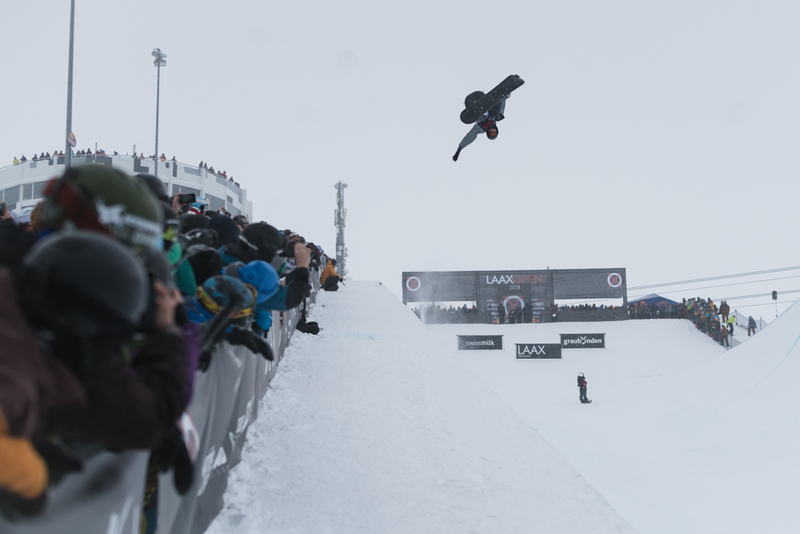 Firing down the lookers left side of the pipe, Podladtchikov dropped in eyeing the frontside wall of the 22-foot pipe before unloading a massive frontside 900 tailgrab. His next hit he opted for the backside version of the 900, which in essence was a set up for back-to-back 1080 double corks — the first a frontside, the second a cab with a mute grab. Impressive as it was, the most spectacular trick in his run he saved for last. 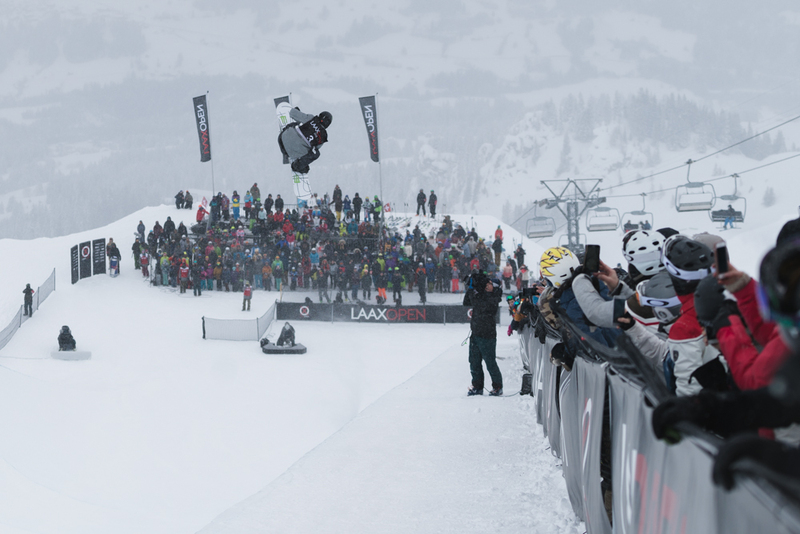 Still carrying a ridiculous amount of speed, he tucked low approaching his frontside wall and unleashed an alley-oop double backside rodeo 900 — the only one seen in the competition. All smiles, a visibly overjoyed Podladtchikov unstrapped at the bottom of the pipe and waited for his score. After a moment of deliberation the judges awarded his run an astonishingly high 90.50. With less than three weeks to go until opening ceremonies in Pyeongchang, South Korea, the win puts Podladtchikov on top of his game both physically and mentally — a gift of untold value as the world will no doubt be watching as he looks to defend his title in snowboard halfpipe at the 2018 Winter Olympics. For more on Podladtchikov and the rest of the Monster Energy snowboard team visit http://www.monsterenergy.com, and follow Monster Energy on Facebook and Instagram.